I think that most people can recall someone whom we considered to be a great teacher. The kind of person who inspired us and motivated us to learn. As I started my career, I remember wondering what kind of teacher my students thought I was. I wondered if I was a great teacher. What kind of hard work does it take to become a great teacher? Many books have been written on the subject, and the exact process is debated (e.g. Grossman, 1990). But, research seems to agree that it takes time. Great teachers aren’t “born with it.” Instead, more experience generally results in a more effective teacher (Park & Oliver, 2008). I’m gradually uncovering more about what a great educator looks like, and the steps required to become one. As I learn more, I look forward to sharing what I discover along the way. In my next posts, I’m going to share what I’ve learned about pedagogical content knowledge (PCK) and how we, as chemistry educators, should work to develop this type of knowledge. But first, let me introduce myself. My name is Josh Kenney. I teach high school chemistry, I create science YouTube videos, and I like to research chemistry teaching and learning. I have always asked a lot of “how” and “why” questions, and I studied Chemistry at Spring Arbor University because it seemed like a subject that provided a lot of answers to my questions. Although I didn’t set out to be a chemistry teacher, an opportunity to lead chemistry study groups and laboratory sections made me increasingly interested in how people acquire knowledge. My passion for chemistry education was born, and I went on to earn a B.Ed at the University of Windsor a year after graduating with my degree in chemistry. I have been teaching high school chemistry for seven years and have enjoyed innovating within instructional methods like blended learning and project-based learning. In 2013, I started my YouTube channel, The Science Classroom. At the time, many of my students spoke English as a second language (ESL), and I had difficulty finding chemistry video tutorials that were short, direct, and easily understood by my ESL students. Consequently, I began creating my own videos to supplement my ESL students’ learning needs in chemistry. Since then, I have gone on to create over 200 videos, and I am still uploading content on a weekly basis. A few months ago, I was surprised to watch one of my video tutorials surpass one million views on YouTube. I count myself fortunate to be contributing to the growing online library of instructional videos that help make education accessible for all. My interest to understand what it takes to be a great teacher recently lead me to the University of Michigan where I earned an M.S. in Chemistry in 2018. As a graduate student, I was a member of Ginger Shultz’s research group in chemistry education. I completed a study that investigated the topic-specific pedagogical content knowledge (PCK) of graduate student teaching assistants in organic acid-base chemistry. A manuscript of this study is currently under review. 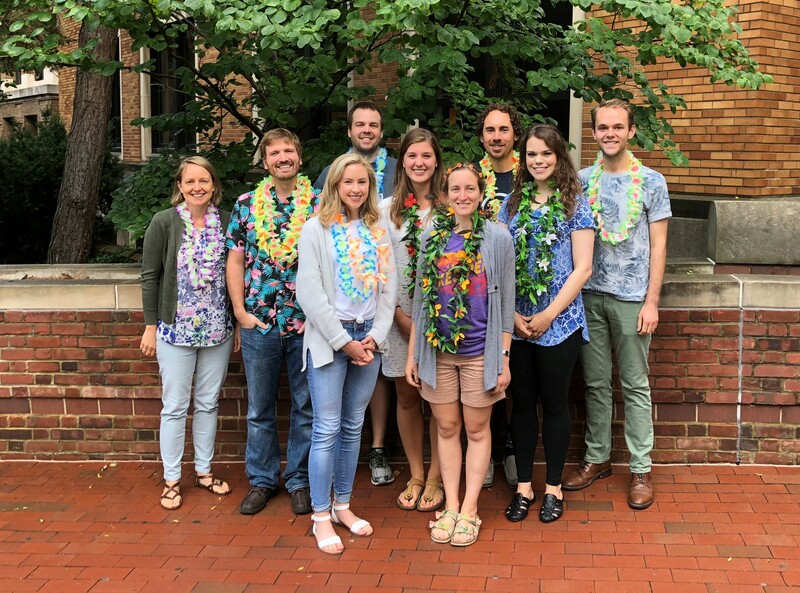 The Shultz group is young, only a couple of years old, but they are already making a name for themselves in the chemistry education community with some phenomenal studies. I am now back in the high school classroom, and my research with the Shultz Group has shaped the lens through which I see my work. In future posts, I look forward to sharing how a thorough understanding of PCK has the potential to help us to grow into better chemistry teachers. Grossman, P. L. (1990). The making of a teacher: Teacher knowledge and teacher education. Teachers College Press, Teachers College, Columbia University. Park, S., & Oliver, J. S. (2008). Revisiting the conceptualisation of pedagogical content knowledge (PCK): PCK as a conceptual tool to understand teachers as professionals. Research in science Education, 38(3), 261-284.